Ice Concepts is a full service Ice Sculpture Company that has serviced the Philadelphia region and surrounding area with the finest quality custom ice sculpture since 1994. Ice is a symbol of celebration that commands attention, captures your emotion and embodies your message as it evokes curiosity of those who surround it. 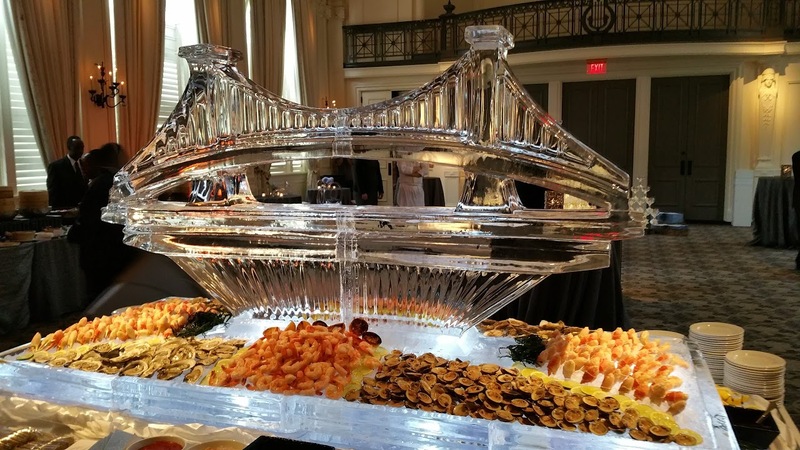 Every ice display is unique and we offer a wide variety of products and services to the catering, special events, and marketing industries. From a small petite sculpture to huge ballroom decor installations we have the equipment, staff, and experience to make it happen. We ensure both personal and flexible service to continually meet the needs of our valued clients, from the initial consultation to the final delivery and set up. Our unique combination of talent, experience, personnel, and equipment has been our recipe for long term and ongoing success of our operation without ever taking our eyes off of the primary goal of creating the finest quality ice sculpture and service possible. Ice is one of the few mediums that can bring this allure to your event and we look forward to helping explore those options with you.